Portland Thorns FC spoiled the Chicago Red Stars home opener on Saturday night with a brace from Christine Sinclair in a 3-2 victory on a windy, cold night at Toyota Park. The game closed out NWSL Week 2 play in style, with Sinclair and Red Stars forward Alyssa Mautz both earning a brace on the evening. Portland is now 1-1-0 in league play, with the Red Stars at 0-1-1. The game opened up early for Portland with midfielder Lindsey Horan getting a strike off of an out-swinging corner kick from Meghan Klingenberg. Horan timed the service perfectly and got her team on the board in the 9th minute. Horan’s goal was her first of the year for Portland. Chicago, on a historic night at home thanks to the club holding a double-city-doubleheader between MLS and NWSL teams with the Chicago Fire and Portland Timbers playing to a 2-2 draw before, equalized in the 31st minute off a tenacious two-touch finish from Mautz. It was Sofia Huerta who found Mautz inside the box, and just like that it was anyone’s game. But, who other than Sinclair came knocking. Sinclair ran onto a through ball just before the 40th minute and Red Stars’ goalkeeper Alyssa Naeher came out of her box to try to make a sliding save. Naeher, in an attempt to kick the ball away from an incoming Sinclair, was unable to get a piece of the ball which left Sinclair in full stride with the ball. The captain patted it into the back of the net for the 2-1 lead before the break. At the half, Portland led Chicago 2-1. Despite the Portland edge at the 45-minute mark, Chicago held the advantage in possession with a 57.5% to Portland’s 42.5%. Chicago, despite missing several key players to injuries and international duty, were cohesive in the midfield with Huerta controlling the pace and Arin Gilliland being an absolute work horse up top for the Red Stars. In addition to the Red Stars missing several pieces, Portland was also not in full force. The Thorns were without head coach Mark Parsons following an announcement on Friday that he was suspended for two games following misconduct on March 24. While Portland is in the process of appealing the decision, Parsons missed Saturday night’s match in Chicago. If the appeal process remains unsuccessful for Portland, he will miss his team’s home opener against the Pride on April 15. Following an exciting 45, the second half kicked off with both sides finding gaps to attack. Chicago’s best chance came in the 50th minute off a Gilliland sprint down the flank and a service that was punched wide by Thorns goalkeeper Adrianna Franch. In the 64th minute Danielle Colaprico was called for a handball in the box and issued a yellow card. Sinclair stepped up to take the penalty kick for the Thorns and, with a driven finish, she got her second of the night to put the Thorns up 3-1 in the 65th minute. Portland looked like they were in complete control, with Horan dishing the ball out wide to Midge Purce, who was combining effortlessly with second-half sub Ifeoma Onumonu. However, in the 67th minute it was Mautz again. Mautz one-timed it off a textbook service from Huerta to make it 3-2. Chicago kept the pressure on as time ran out and in the 92nd minute Huerta took a shot from 25 yards out that looked like it was going upper-90. Huerta’s shot hit the crossbar and that would be the last chance of the night. This game closed out NWSL play before the FIFA break, and games will resume on Saturday, April 14. Foul by Ifeoma Onumonu (Portland Thorns). Substitution, Portland Thorns. Angela Salem replaces Midge Purce. Sofia Huerta (Chicago Red Stars) hits the bar with a right footed shot from outside the box. Assisted by Sarah Gorden. Attempt saved. Erin Yenney (Chicago Red Stars) left footed shot from outside the box is saved in the bottom right corner. Assisted by Alyssa Mautz. Attempt missed. Michele Vasconcelos (Chicago Red Stars) left footed shot from outside the box is close, but misses to the right. Assisted by Sofia Huerta. Attempt saved. Ifeoma Onumonu (Portland Thorns) right footed shot from the centre of the box is saved in the centre of the goal. Assisted by Kelli Hubly with a through ball. Substitution, Chicago Red Stars. Erin Yenney replaces Nikki Stanton. Attempt missed. Michele Vasconcelos (Chicago Red Stars) right footed shot from the right side of the box is close, but misses to the right. Assisted by Alyssa Mautz. Attempt missed. Arin Gilliland (Chicago Red Stars) header from the left side of the six yard box misses to the right. Assisted by Alyssa Mautz with a cross. Substitution, Chicago Red Stars. Michele Vasconcelos replaces Summer Green. Delay in match Summer Green (Chicago Red Stars) because of an injury. Offside, Portland Thorns. Lindsey Horan tries a through ball, but Ifeoma Onumonu is caught offside. Substitution, Portland Thorns. Elizabeth Ball replaces Mallory Weber. 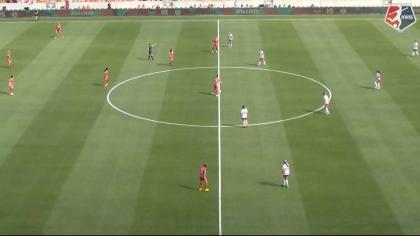 Offside, Portland Thorns. Celeste Boureille tries a through ball, but Ifeoma Onumonu is caught offside. Attempt missed. Sofia Huerta (Chicago Red Stars) right footed shot from outside the box is too high. Assisted by Danielle Colaprico from a direct free kick. Foul by Kelli Hubly (Portland Thorns). Attempt missed. Celeste Boureille (Portland Thorns) right footed shot from outside the box is too high. Assisted by Lindsey Horan. Goal! Chicago Red Stars 2, Portland Thorns 3. Alyssa Mautz (Chicago Red Stars) left footed shot from the centre of the box to the bottom right corner. Assisted by Sofia Huerta. Goal! Chicago Red Stars 1, Portland Thorns 3. Christine Sinclair (Portland Thorns) converts the penalty with a right footed shot to the bottom left corner. Penalty conceded by Danielle Colaprico (Chicago Red Stars) with a hand ball in the penalty area. Attempt blocked. Lindsey Horan (Portland Thorns) right footed shot from outside the box is blocked. 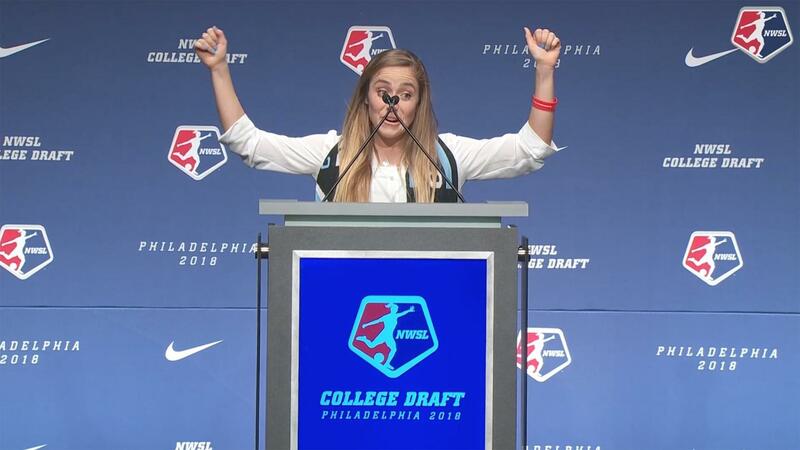 Assisted by Emily Sonnett. Hand ball by Summer Green (Chicago Red Stars). Summer Green (Chicago Red Stars) wins a free kick on the left wing. Offside, Portland Thorns. Meghan Klingenberg tries a through ball, but Ifeoma Onumonu is caught offside. Attempt missed. Mallory Weber (Portland Thorns) header from the centre of the box misses to the right. Assisted by Ifeoma Onumonu with a cross. Attempt blocked. Nikki Stanton (Chicago Red Stars) right footed shot from outside the box is blocked. Attempt blocked. Ifeoma Onumonu (Portland Thorns) right footed shot from the centre of the box is blocked. Assisted by Midge Purce. Second Half begins Chicago Red Stars 1, Portland Thorns 2. Substitution, Portland Thorns. Ifeoma Onumonu replaces Tyler Lussi. First Half ends, Chicago Red Stars 1, Portland Thorns 2. Corner, Chicago Red Stars. Conceded by Kelli Hubly. Goal! Chicago Red Stars 1, Portland Thorns 2. Christine Sinclair (Portland Thorns) right footed shot from a difficult angle on the left to the bottom left corner. Attempt missed. Mallory Weber (Portland Thorns) left footed shot from outside the box is just a bit too high. Attempt missed. Lindsey Horan (Portland Thorns) header from the centre of the box is too high. Assisted by Meghan Klingenberg with a cross following a set piece situation. Mallory Weber (Portland Thorns) wins a free kick on the left wing. Offside, Portland Thorns. Celeste Boureille tries a through ball, but Tyler Lussi is caught offside. Goal! Chicago Red Stars 1, Portland Thorns 1. Alyssa Mautz (Chicago Red Stars) right footed shot from the right side of the box to the centre of the goal. Assisted by Sofia Huerta. Attempt missed. Lindsey Horan (Portland Thorns) right footed shot from outside the box misses to the left from a direct free kick. Christine Sinclair (Portland Thorns) wins a free kick in the attacking half. Offside, Portland Thorns. Katherine Reynolds tries a through ball, but Christine Sinclair is caught offside. Kelli Hubly (Portland Thorns) wins a free kick in the defensive half. Summer Green (Chicago Red Stars) wins a free kick in the defensive half. Delay in match Mallory Weber (Portland Thorns) because of an injury. Attempt blocked. Summer Green (Chicago Red Stars) left footed shot from the centre of the box is blocked. Attempt missed. Arin Gilliland (Chicago Red Stars) header from the centre of the box misses to the left. Goal! Chicago Red Stars 0, Portland Thorns 1. Lindsey Horan (Portland Thorns) right footed shot from the centre of the box to the top right corner following a corner. Attempt missed. Tyler Lussi (Portland Thorns) right footed shot from the centre of the box misses to the right. Assisted by Mallory Weber with a cross. Attempt blocked. Danielle Colaprico (Chicago Red Stars) left footed shot from outside the box is blocked. Assisted by Arin Gilliland.